With limited sunny days around B.C.’s coast, local folks take advantage of the vitalizing rays as often as they can. It is for this reason some people don’t feel that an awning is a good way to enjoy the sun. But having an awning doesn’t mean you cannot enjoy the sun. Having an awning simply means you have choices. While some people you know always feel like fully immersing themselves in the sun’s rays, others may not and instead, prefer relief from the heat. It really is a matter of personal choice. Whether you feel like sun or not, awnings with high-tech sensors and controls are making it easier than ever for homeowners to take advantage of the sun’s rays – or not. A manual awning is an excellent option for those who prefer constant shade, having remotes and other forms of automatic controls over your awning will allow you to easily – with the push of a button – have as much shade or as little sun as you like. The widespread use of sensing and control devices in homes has been cause for the large increase in demand for these types of awnings. 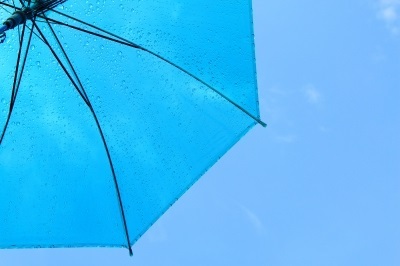 There are also additional benefits that come with owning a professionally installed awning. 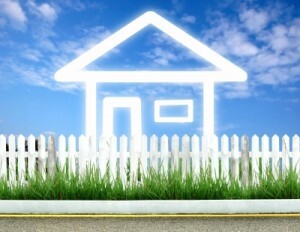 When temperatures rise, solar gain – which is the warmth inside your home generated by the sun – needs to be cooled. Reducing a full day of sun heat in your home causes your air cooling system to work harder. During the hot months, shading windows and awnings can significantly reduce your home’s energy consumption. While making the decision to go with remote technologies, make sure you don’t leave out another important aspect of your awning decision process – the fabric. Awning fabric has come leaps and bounds in advancement from even only a decade ago. For the best solar protection on the market we recommend and use Dickson Orchestra. It’s water resistant with a tighter weave and more stability. Article Author: John Kerkhoff. 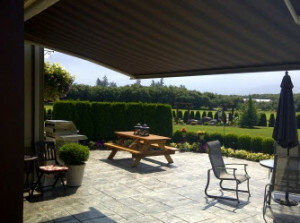 MrCoverAll.ca is the leading supplier of retractable awnings in Canada. Retractable awnings are a chance for you to choose between sun and shade. A chance to get up close and personal with nature, while still preventing UV rays from damaging your skin. Whether you want to block the sun or allow it to reach your deck partially, we make it a simple matter of pressing the right button. Click Here to receive a consultation. In the event you’re still considering the pros and cons about installing an awning, perhaps the latest joint report from Whitebox Technologies and The Professional Awning Manufacturers (PAMA) will help. According to their new study, fabric awnings and exterior shades have shown to reduce homeowners cooling costs by more than half. The study, which evaluated 50 cities, shows that awnings not only help to save money through reduced cooling bills, but also increase the comfort level inside your home by reducing your home’s internal temperature, thus reducing the size of, and mechanical wear, on your home’s AC unit. The hot summer days of the West Coast are cause for rising energy costs and awnings provide an almost immediate and certainly eco-friendly way to keep your home cool. While turning on the air conditioner results in higher bills, shades and awnings work with your air conditioning unit to keep your home cooler and reduce the need for additional energy use. The study focused primarily on older homes that are generally smaller and less insulated than newer constructed homes. The results of their data supports claims that solar shades and awnings are smart retrofits that are effective in making older homes more energy efficient. Another way to ensure your awning choice will help with cooling costs is to choose your fabric wisely. DICKSON® now offers a new generation Orchestra fabric that has improved technical characteristics to that of other fabric choices on the market. Dickson’s fabric has improved durability and solar protection as well as a greater water resistance. For improved water resistance, the fabric consists of Schmerber 370 mm instead of 350 mm. For better solar protection Dickson offers a tighter weave: 0.11% open instead of 0.36% and more stability, ensuring a higher performance than ever before. With such vast improvements in solar protection, awnings outfitted with Dickson Orchestra fabric will help reduce direct solar gain through your windows. Fabric awnings and canopies create an attractive, comfortable outdoor area for any home. Handsome outdoor awnings make an inviting place for people to gather where they are protected from harsh elements. Furthermore, a structured awning area provides coverage while being more economical to build and maintain than the other traditional structures. 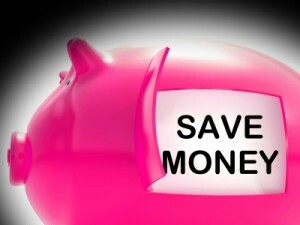 • An awning can reduce your home’s energy cooling costs significantly. • Quick, easy and affordable to create and install. • Beautiful fabrics to brighten up a dull backyard. • This can be the perfect time to blend your indoor and outdoor creativeness with exotic colors and designs. • Add custom window canopies/screens to enhance your entire home. • Adding an awning can help prolong the life of your outdoor deck or patio by protecting it from harsh UV rays and rain. • Awnings offer homeowners an adaptable outdoor comfort. • Consider the price of adding a structure compared to the price of adding an awning. • Awnings provide weather protection for the entire family. Your family’s health is a number one priority, which is why installing a professional awning is the perfect way to protect them while they enjoy being outdoors. For decades consumers were limited to the choice of awning and canopy fabrics, but with the technological breakthroughs in synthetic fibers — and in top coatings — modern awning fabrics now offer high performance with near limitless functions. Improved ultraviolet stability, colorfastness, tensile strength, warranties and guarantees, today’s awning has come a long way from those 10 or 20 years ago. When you’re searching for cool functionality, look no further than a custom awning. It’s likely you’ve been visiting a friend in their yard when suddenly they haul out that famous piece of plastic and begin tarping off a section. Sometimes this is because shade or privacy is needed while other times it’s due to rain or other poor weather conditions. While this method of awning can prove useful, it’s not exactly what professionals would refer to as the awning concept. A professional awning is generally made from a special fabric. It is an architectural projection that provides protection and is supported by the building to which it is attached. Unlike your friend’s quick-fix awning, there are no unsightly strings or ropes attached to a professional awning. As a matter of fact, a professionally made awning adds beauty and enhancement to any home’s exterior. Instead, a professionally designed awning is comprised of a lightweight frame structure over which the area (of your choice) is covered. Most homeowners install awnings to use to provide shade over patios and decks, however, custom awnings can also be created for windows and doorways. These types of awnings, which are referred to as canopies, are supported and directly attached to the building. Also unlike your friend’s plastic version, professional awnings can be outfitted as retractable or stationary. With the push of a button, a retractable awning can provide an instant cool area and relaxing haven from the rays of the sun. Depending on your needs (and budget), your custom awning can be enhanced with sensor-activated controls or remotes. A remote will allow your awning to be opened and closed easily from inside or outside the house, while a sensor-controlled awning features sun and wind sensors that automatically retract your awning or extend it, even when no one is home. 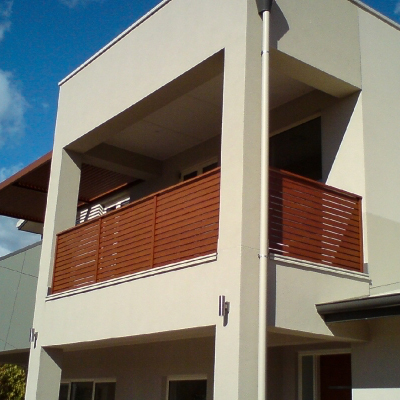 Stationary awnings, which are on a fixed frame, are a very popular choice with homeowners. These types of awnings can be custom fit to any space around your home such as a deck, patio or garden area. The stationary awning is an excellent option for those odd-shaped places that have bump-outs or for unusually sized windows. You can have a stationary awning custom designed in any shape, size, color or design. Consider how practical an awning would be for your home to create an extended living space, to enhance a doorway, add shade to sun-facing windows or even to create an instant car port. Stationary or retractable, a custom awning will only enhance. Homeowners tend to think of bushes and flowers when they think of curb appeal, but awnings should also be thought about. Victorian-style homes and German designed cottages are only two types of architectural structures that have made awnings very appealing. Regardless if homes are constructed of brick, wood or concrete, there’s something quaint and homey about the look of awnings. Although there are many great ways to add improvement to your home, adding an awning is both visually appealing and practical. Not only do they provide shade, reduce your home’s cooling cost and extend your outside living space, awnings also add an inviting first impression. Imagine your home with a colorful fabric awning over windows and doorways that seem to magically pull guests into your home. A welcoming front porch is an ideal way to set off your home’s landscaping. You can quickly and easily complement your home with a splash of color simply by adding a large awning. Use awnings as a form of home improvement that is easy and affordable. Installation is pretty straight forward, maintenance is simple and the color choices and fabric designs are near endless. Once you have decided on an awning design that fits the unique style and color of your home, you won’t have to paint or do much to take care of your new beautiful enhancements. If you think ‘square and boring’ when you think about awnings, you’ll be surprised to know that awnings and canopies can take on a whole range of shapes and sizes, making the design options limitless. Working with a professional awning company to create a design that best suits your home’s design and your personal needs will ensure your new awning does its job. Adding window canopies is a great way to complete your look and add instant curb appeal. Aside from color and design, you can further enhance your awning by adding trim and valances. It’s easy to echo the architecture of a more traditional home or complement a newer modern-styled house. Regardless of what you decide, canopies and awnings are certain to add drama and impact to an otherwise ordinary façade. Motorized awnings, on the other hand, are very user friendly because they work by remote control, which allows for convenience. Retractable patio awnings are an excellent way to create a quick and simple outdoor expanded living space or entertainment area; a place that will keep friends and family cool on hot days, transforming your space into a cool oasis. The benefit of going motorized over manual is that there are no restrictions to who can operate the unit. Also if it is manual people generally tend to open the awning sooner and also close it when they leave as opposed to keeping it open to long (because it’s a little heavy). These types of awnings are permanently installed to a specific area of your home. Typically, you’ll find fixed awnings around carports, windows, patios, balconies, entrance ways and sundecks. The advantage of choosing a fixed awning is that they can be customized to fit your special area. Customized awnings over doorways, windows and entrance ways certainly add their share of esthetic appeal and can enhance the natural architectural elements of your home. Unlike retractable awnings, fixed awnings allow the homeowner flexibility in creating and designing the size and shape of the awning. These types of awnings include domes, straight-top, concave and convex awnings. Decks and patios are popular gathering places, until annoying rain or the scorching sun shows up. Instead of being driven inside, it’s possible to get more use from your deck or patio by installing a retractable awning. For the average homeowner, a retractable awning is the most common choice, however, you will need to choose from a manual or motorized awning. For homeowners who want a patio or deck awning, it’s important to understand that ‘retractable’ does not always imply automatic. A retractable awning can be manual, which means the awning must be hand-cranked in order to open or close it, while an automatic awning uses a motor to do the work. Automatic awnings also cost more. 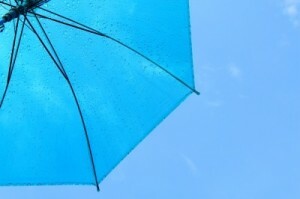 In sudden storms where power outages occur, a motor-only awning will have to stay in place until the power is restored. But, if you have a motorized awning with a manual ability, then you can quickly and easily retract the awning instead of waiting for the electricity to return. So, if you’re thinking that now, you really should invest in installing an awning, you may be wondering just how you go about installing it – or where. Awning installation is not that complicated (although it should be installed by a professional), nor does it have to be in a perfect location. First of all, a high-quality retractable awning should not need ground supports to hold it up. It’s important that people look for awning models that are made from high grade aluminum rather than steel. Awnings made from high grade airplane aluminum — like the wings on an airplane have flex — steel has less flex and will therefore have a chance to snap quicker. Also, when trying to choose the perfect place, some retractable awning models can be mounted on the overhang of your home beneath the soffit or even on the roof itself. While the wall hanging method is more common, sometimes homes have obstructions such as light fixtures that require a little creativeness. Since most awnings need to be pitched downward, they should be mounted at least seven and a half feet high. If you don’t have the height, many awnings can be mounted on the roof using special brackets. With most motored awnings, the motor is encased inside the tube that winds up the awning material, while the supports that hold the awning up (when extended) will fold in on themselves and tuck under the tube. Owning an awning has never been easier or more convenient.